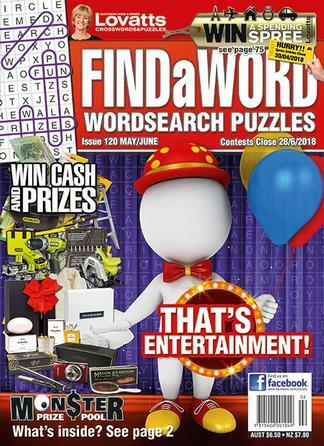 Wordsearch puzzles are always a favourite and this title brings you the best wordsearch on the market. This is a great puzzle book for all word search fans! It&apos;s packed with puzzles,and what&apos;s really good is there is a variety of different types of word searches - plus there&apos;s the added bonus of having leftover letters in the puzzles which give you an answer usually related to the theme of the word search. Not only that,there are competitions with fantastic prizes to win! I highly recommend it. This is published 10 times per year, please allow up to 4-7 weeks for your first delivery. Your subscription will begin with the next available issue.